This thesis explores peasant life of the thirteenth and fourteenth centuries in England from information found in the manorial court rolls-the village court records–of Ramsey Hepman grove and Bury. An attempt has been made to see the villagers as individuals by reviewing the incidents that required their presence in the village courts and establishing what positions of authority villagers held within their community. The court’s treatment of the villagers and how this contributed to both accord and discord within the community has been examined, as well as the interaction of the villagers with the abbot of Ramsey, their overlord, and his agents. The primary and secondary sources relevant to this study have been explained in an attempt to reveal how they have been utilised in viewing the non-literate peasant within the context of his, or her, day. 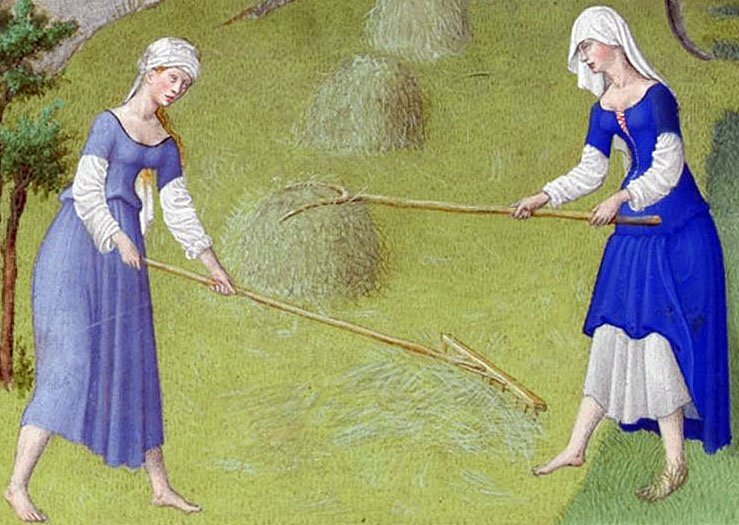 The medieval peasant, as an individual, is an elusive entity. J. A. Raftis offers as explanation of our lack of knowledge of the medieval peasant something he calls the “natural distance” that separates the literate present from the non-literate past.’ Because of the peasant’s illiteracy there are no direct traces of his voice. Access to this enigmatic individual must, therefore, be oblique; and yet it is possible. The medieval village court records-manorial rolls–can reveal a surprising amount of information about the individual men and women of the thirteenth and fourteenth centuries once an understanding of the nature and format of the documents themselves has been mastered.